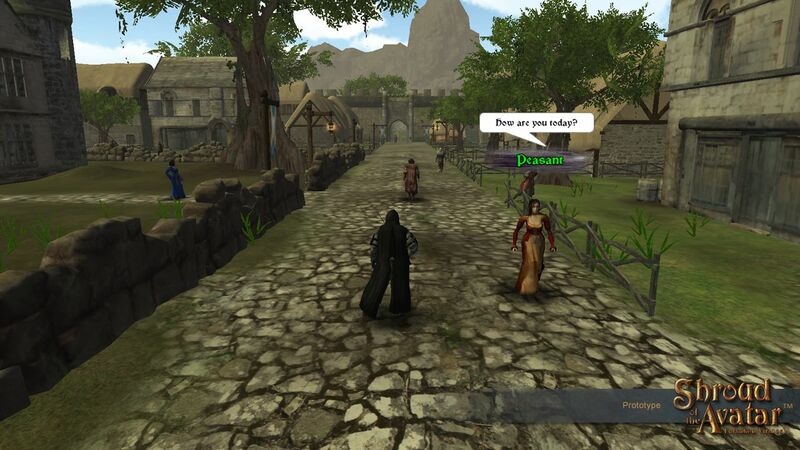 Shroud of the Avatar – Ultima Online 2015? If you’ve ever played Ultima Online then you’re sure to love this upcoming game. It’s essentially Ultima Online 2015! Shroud of the Avatar will be a good to keep your eyes on for sure. It’s available through steam, but does have a high early access price tag of $45. What you’ll read from here out will be my point of view and opinions on the game Shroud of the Avatar and its likeness to Ultima Online. Those of you who haven’t had the pleasure of playing Ultima Online in its prime really did miss out on something amazing. However, UO is still active til this day just not in as large of numbers. They have an active website and still require a subscription fee of $10 to $13 a month depending on how far you pay in advance. Ultima Online is a MMORPG that is strongly developed around character development. Your can have a base total of 700 skill points and each skill can be leveled up to 100 points thus allowing you 7 total different skills. 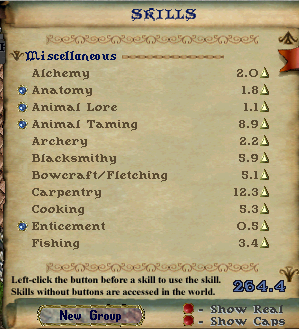 Unlike other games you can choose any combination of skills to level up. There are skill sets that compliment each other, but are not required for the other to work in most cases. and so much more! My favorite character is actually the Ninjitsu Thief. I developed my character around stealing from players and artifacts. Those were the days! Another thing I loved about UO is the fact that the best armor comes from real players. There are some pieces that are known as artifacts that are dropped, but for the most part your best sets will be player crafted. This really took player interaction to a new level. Becoming friends with a Legendary Blacksmith that would repair your armor or a Tailor that would repair your leather was an amazing thing. These crafters would often be around the town blacksmith waiting to repair peoples armor for tips. They made very good money doing so and they often ran a vendor shop which greatly increased profits. If you were either lucky enough or rich enough you could get your very own house. Houses came in many different shapes and sizes. Castles being the largest of course. You could fully stock your house with anything you wanted. Create recall (teleport) locations to your house for friends and customers. Owning a house in game was a great feeling and a large part of the game that many games today do not offer. Now that you know a little about Ultima Online you’ll have a better grasp on what SOTA is. They’re very similar, but Shroud is much more updated. A lot of the characteristics from Ultima Online really carry over into this game. You should without a doubt give this game a try. If you’ve always felt these games of today don’t provide enough mechanics to the game and feel like copies of WoW then you’re not alone. Give this game a try and you won’t be disappointed. Just keep in mind it’s in pre-alpha at the time of this posting.